Classics Today 10/10; Diapason d'Or. 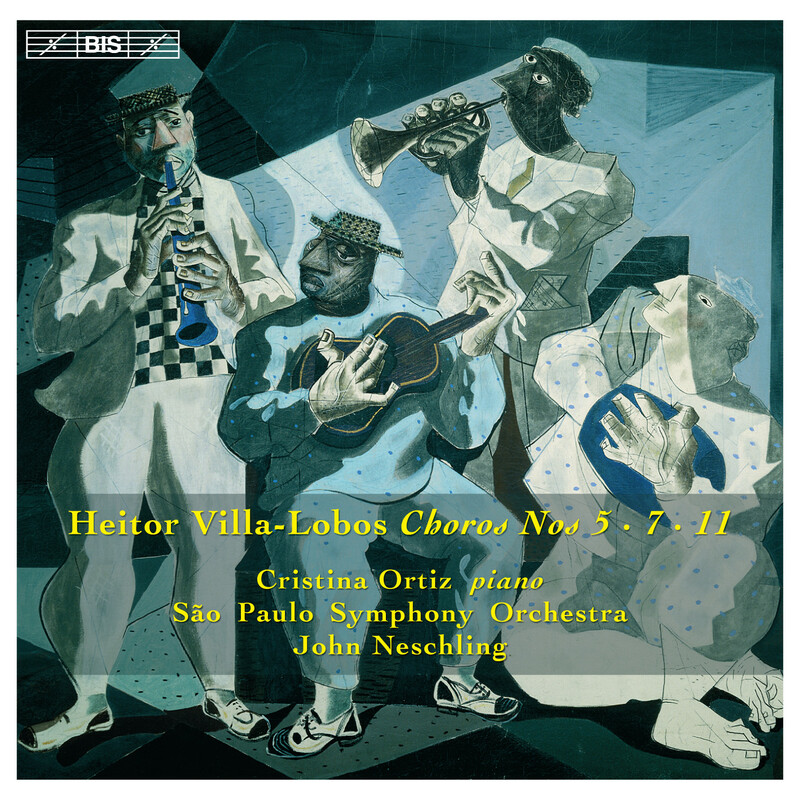 After a highly acclaimed 3-disc traversal of Villa-Lobos’ 9 Bachianas Brasileiras, the São Paulo Symphony Orchestra (OSESP) takes on the Choros by the same composer, in a cycle supervised by the orchestra’s artistic director John Neschling. In the Bachianas Brasileiras, composed between 1930 and 1945, Villa-Lobos attempted to fuse the style of J.S. Bach with Brazilian folk and popular music. In the Choros (1920-1929), his point of departure is the Brazilian popular genre called choro. Villa-Lobos himself described his Choros as a synthesis of ‘the different modalities of indigenous and popular Brazilian music’, adding that the word ‘serenade’ gives an approximate idea of what Choros is. This vagueness was probably intentional – Villa-Lobos wanted to catch the improvisatory aspect of the genre, and as a result the works are very varied. The cycle, consisting of an Introduction to the Choros, the 11 extant Choros and an appendix with the title Choros bis, includes brief solo pieces, chamber settings and full-length works for large symphony orchestra, with or without solo instruments or choir. This disc – the first of three – features examples of all three categories: Choros No.5, subtitled ‘Alma brasileira’ for solo piano, No.7 ‘Settimino’, for a septet of winds, violin and cello with the addition of tam-tam, and Choros No.11, richly scored for full orchestra, with a highly demanding solo part and – at 63 minutes – the longest of the entire series. Musicians from the São Paulo Symphony Orchestra make up the ensemble in No.7, while eminent Brazilian pianist Cristina Ortiz performs both Choros No.5 and the solo part of No.11, which amounts to a huge concerto for the instrument. The colourful orchestral score is realized by the São Paulo Symphony Orchestra and John Neschling, a team which has been receiving the highest international acclaim for a growing number of discs on BIS, including recordings of works by their countrymen Camargo Guarnieri, Francisco Mignone and Cláudio Santoro.